In July 1918, sensing that the German Army had lost crucial momentum, Supreme Allied Commander Ferdinand Foch saw an opportunity to end the First World War. In drafting his plans for a final grand offensive, he assigned the most difficult sector―the dense Argonne forest and the vast Meuse River valley―to the American Expeditionary Forces under General John J. Pershing. There, the Doughboys faced thickly defended German lines with terrain deemed impossible to fight through. From September 26 through the November 11 armistice, US forces suffered more than 20,000 casualties a week, but the Allies ultimately prevailed in a decisive victory that helped to end the Great War. 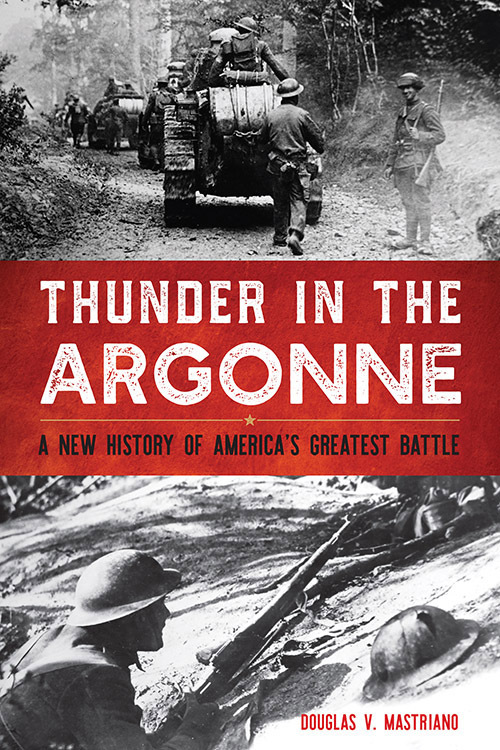 In Thunder in the Argonne, Douglas V. Mastriano offers the most comprehensive account of this legendary campaign to date. Not only does he provide American, French, and British perspectives on the offensive, but he also offers―for the first time in English―the German view. Mastriano presents a balanced analysis of successes and failures at all levels of command, examining the leadership of the principals while also illuminating acts of heroism by individual soldiers. Registrations received after COB 1 November 2018 will not be pre-registered. Late registrants will need to register on-site. There is limited parking in the AUSA building. Street parking and public garage parking are also available. Continuous learning points may be awarded when participating at professional development seminars, symposia, or conferences hosted by the Association of the United States Army (AUSA). AUSA’s professional development programs include the Institute of Land Warfare (ILW) General Bernard W. Rogers Strategic Issues Forums, Hot Topics, and Contemporary Military Forums. Attending these programs may be worth up to .5 points per hour; speaking or presenting may be worth 2 points per hour. For more information about AUSA’s events, please visit https://www.ausa.org/meet. Additionally, manuscripts published through AUSA’s ILW Writing Program may be worth 10 to 40 points. For more information about publishing, please visit https://www.ausa.org/ilw-writing-program. Programming scope and objectives will be provided upon request. Please follow DoD AT&LWF guidelines when assigning points.